Fueled by Digital Transformation, enterprises today are technology companies, whether or not they call themselves such. Enterprises rely on complex sites and apps to sell their products. Nike is a technology company that sells sporting goods. Ikea is a technology company that sells furniture. Digital Transformation is also changing traditional roles into digital roles —like “Digital Marketer,” aka a marketer who knows their way around SEO, HTML, CSS, web applications, and automation. Or what about “Technical Account Manager?” Meaning, a salesperson who can speak “tech.” No modern company is without a technical product of some kind. So, if job functions rely on technical expertise, and if modern companies rely on technology to build and sustain successful relationships with their customers—what can be done to improve the function of the technology, and thereby improve customer relationships? This is where performance monitoring, and more specifically, Digital Experience Monitoring, comes into play. (If you’re a performance monitoring pro, you might want to skip down to the next section). Performance monitoring refers to collecting data on the function of all the digital components that power a company’s web presence; whether that web presence is a platform product (like Salesforce) or if that presence is a website (like an online store or a car dealership website). A digital component could be a server, an API, or a third-party piece that contributes to the function of the website or application. 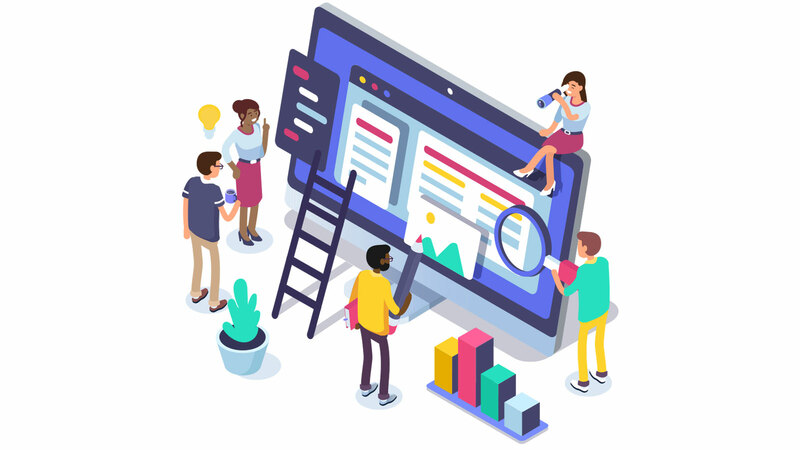 Once performance monitoring software collects and analyzes data, IT teams can make improvements to the function of these digital components with insights from the performance monitoring software. 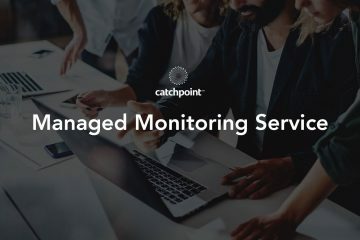 With performance monitoring software, IT teams can improve the function of their websites and applications in terms of performance, reliability, and availability. Performance: Performance refers to performance as a whole. How quickly does a site load? Is it live and accessible to customers? Reliability: Reliability refers to how stable performance is. How often does the site experience outage or downtime? Is it using the appropriate security measures? Availability: Availability refers to how often the site is live or “up.” To be available, your site must be fully accessible and functional to users. Who in your company cares about the performance, availability, and reliability of the application and services your company provides and uses? Since IT affects every job function nowadays, everybody should care. Traditionally, DevOps (short for developer operations) and IT teams are responsible for performance monitoring. But, each department’s productivity takes a hit when applications are down. While operations and development teams are typically responsible for the performance, availability, and reliability of applications and services I would argue that everybody with a stake is responsible. Here’s why other departments should care. There have been numerous studies showing better response times lead to more conversions and slower response leads to lost sales. For example, a 0.3 ms reduction in Trainline’s latency increased their sales by $8 million. Latency and downtime are typically seen as problems for retail sites but are also concerns for SaaS applications. Slow performing SaaS applications impact employee productivity—for example, if Salesforce goes down, your sales team (and sales efforts) slow or cease. Sales productivity comes to a screeching halt. Sales teams can also use performance metrics to close deals. For example, let’s say your performance monitoring software can prove to prospective clients that you have met your SLA (service level agreements) for. Clients are much more likely to buy when they know your company’s product is that dependable. As a marketer, the performance of my website and applications determines my productivity. If my site isn’t live, I can’t get customers through my funnel. I can’t sell my products. I can’t retain customers with my web content like blog posts, ebooks, and webinars. If I’m a SaaS company, and my site isn’t live, I can’t convert trial signups. What good are my marketing efforts if my customers and prospects can’t access them? In addition, customers turn to social media to complain when sites are too slow or are down. The social media team, which is usually a part of the marketing org, must be aware when problems are occurring. Then, they can respond to customer concerns and keep your followers updated. Those in support often get the brunt of complaints from customers when a site doesn’t work. Over 80% of Americans will stop doing business with a company because of poor customer support. 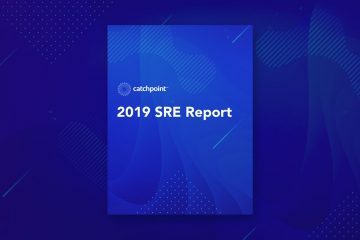 Responding quickly to customer support tickets, with information on how the site is performing or what’s being done to fix it, can improve net promoter scores. And, improved NPS and satisfaction improve customer retention. For example, let’s say there’s a third-party failure which has your site down. The support team might receive a storm of support tickets, emails, and chat messages. If the support team knows what’s wrong and that IT is working to solve the problem, they can communicate that to customers. Service level agreements (SLAs) are guarantees made by vendors of services to the users of those services. For example, a vendor might promise an uptime percentage of 99.999%. Finance and legal teams enforce service level agreements. If there is a service level agreement for your application or service, legal and finance need to know whether the SLA is breached. Legal and finance teams need performance monitoring data to enforce these agreements with your vendors. They also need performance data to check whether or not your company truly owes a fee to a client should that client claim you are in breach of your agreement. For example, if your site is down due to a third-party your legal and finance teams may find out that your company is owed a fee if the downtime was greater than what the third-party promised in their service level agreement. 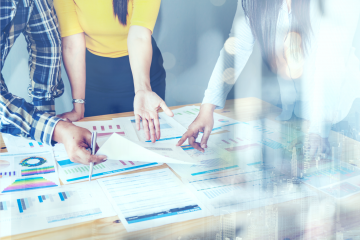 To keep various departments aware of performance monitoring metrics and issues, you need to implement a communication plan. Decide which departments are responsible for communicating with clients around an issue. We should all stay aware of the performance of our company’s digital assets and applications. Make sure you understand how performance impacts various departments in your organization. Be aware that performance impacts the productivity of every department. And absolutely make a plan for communicating with those various departments when performance issues arise.